We rarely see plants or animals become extinct before our eyes. Extinction is often something far away and abstract - it happened long ago or far away. Yet right now before our eyes, one of the most important groups of trees is vanishing. Ash trees, in the genus Fraxinus, are rapidly disappearing, and there is little we can do to prevent it. The extinction of plants and animals happens all the time, but it is usually a remote event that we read about in the news or in biology texts. The dodo, black rhino, passenger pigeon and many other animals and plants have become extinct in historical time. Often, these have been rare species, or species uniquely susceptible to the invasion of humans. In her important book The Sixth Extinction, Elizabeth Kolbert has argued convincingly that we are on the brink of, or have already begun, the sixth major extinction event in Earth's history, with the potential loss of thousands of species. Animals, especially charismatic mammals, get most of the attention, but the number of tree species that have recently become extinct, or are on the brink of extinction, is large and growing. Many of these trees are rare or have very small populations or ranges, and are threatened by habitat loss. Maple-leaf oak, Quercus acerifolia, is only found in a few stands in the Ouachita Mountains in Arkansas, with fewer than 600 individual trees. Destruction of its forest by fire, logging or other disturbance could eliminate this species in the wild. The current crisis for ash trees is ompletely different. Ash trees are dominant components of North American forests, and are commercially important for timber and as ornamentals. In a period of less than 30 years, ash trees have gone from thriving and beautiful components of our native forests and planted landscapes to arriving on the brink of extinction. The IUCN Red List of threatened and endangered species has recently added almost all North American ash trees to the categories of Critically Endangered or Endangered. Critically endangered species are those on the brink of extinction, while endangered species are only slightly less liable to become extinct. Populations of all these species are rapidly declining. Most people are aware of the cause of this impending extinction: the emerald ash borer, Agrilus planipennis Fairmaire (Coleoptera:Buprestidae), a tiny and beautiful beetle, emerald green as its name implies. The insect was introduced in the Port of Detroit or the Port of Windsor around 1990. The beetles were in wood packing crates used to contain heavy machinery, and shipped from China. The beetle is native to much of China, but in its native range, it only attacks and kills stressed trees. North American ash trees (with a possible exception, see below) are susceptible to beetle attack even when they are healthy. The female deposits eggs on the bark surface, and her larvae burrow into the tree, feeding in a serpentine gallery and destroying the cambium and phloem. The tree dies from the top down, sometimes taking several years to die. Once a tree is infested, its death is inevitable. We are now facing an extinction event almost as great as the loss of the American chestnut. Ash trees have gone from being among our most important species, both ecologically and commercially, to the edge of extinction in less than 30 years. Despite this huge event, news coverage of this extinction tends to be local and focus on tree loss in a community or region. North America is under a constant barrage of introduced pests, pathogens, and invasive species. Most introduced species do not become a serious problem, but the few that do can be devastating. We are witnessing not only the impending extinction of several tree species, we are also seeing a simplification of our forests, as the abundance of many common trees declines. The US, Canada, and Mexico have vigorous inspection programs to prevent the introduction of new pests and pathogens into our ports, but it is not sufficient. About 10 new beetle species are found around ports of entry every year. For beetles like emerald ash borer that hitchhike on wood packing material, the solution is fairly simple - forbid the use of solid wood packing material, and instead use reconstituted products like particleboard. The manufacture of reconstituted products requires grinding of wood, heating, and the use of adhesives; beetles do not survive this process. 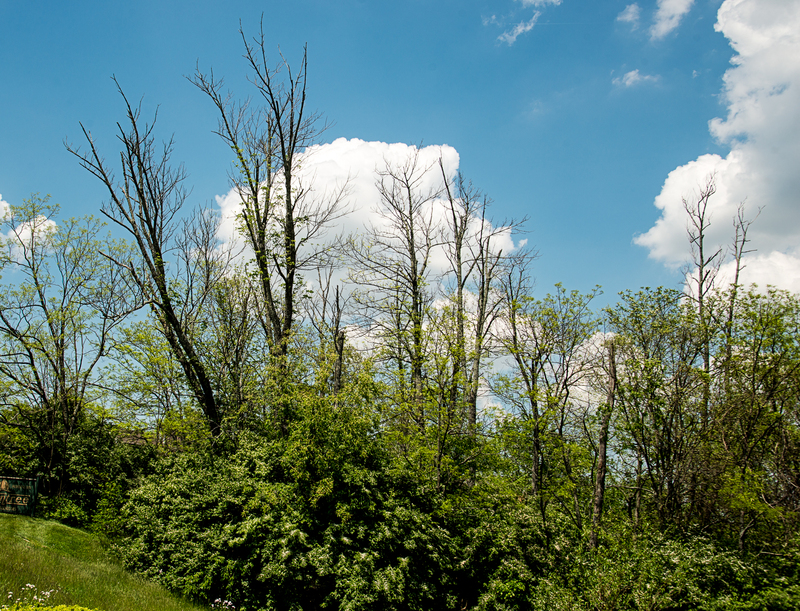 What will be the fate of ash trees? I think is is unlikely that ash will become extinct. I have been unable to find accounts of any plant species driven to extinction by an insect. It is possible, even probable, that there are small numbers of trees in each ash species that are resistant to emerald ash borer - this is the essence of evolution by natural selection. If so, these survivors will be able to create future populations of ash. This process will take hundreds or thousands of years, but we can accelerate the process by selecting for and propagating resistant ash. 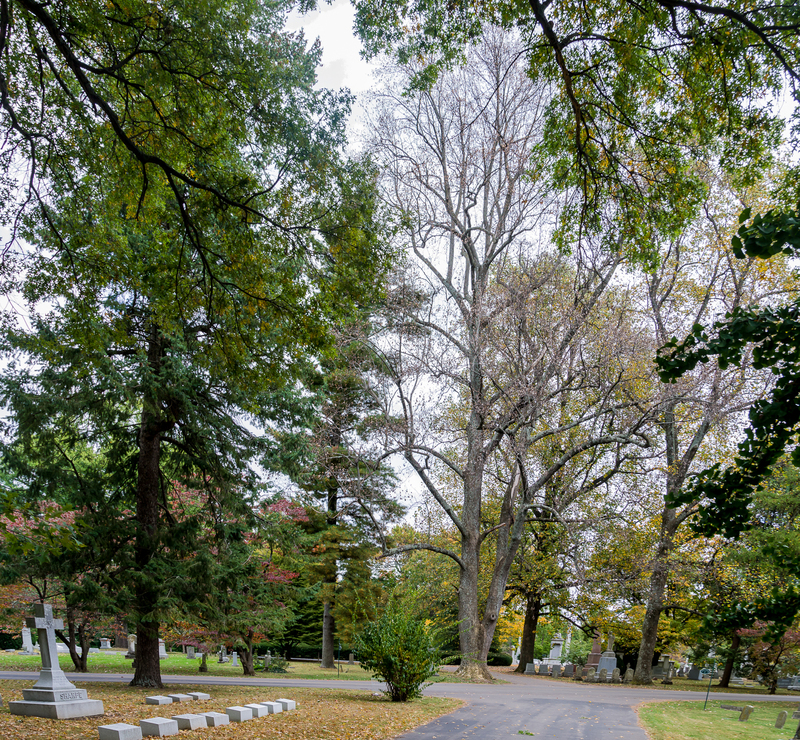 Blue ash may be a special case: it appears that healthy, unstressed blue ash trees are resistant to emerald ash borer. We need not wait for natural selection, a slow process, to create new populations of resistant ash trees. Artificial selection for resistance is already showing promise. Justin Whitehill and other scientsts have found that ssh trees that have high concentrations of a natural insecticide, verbascocide, show some resistance to EAB. 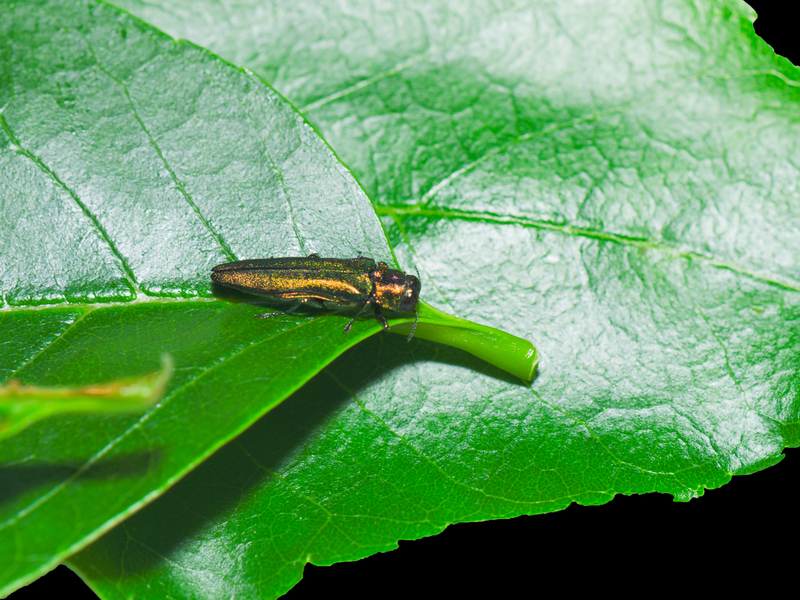 As more scientists pursue this problem (and if required funding is provided), EAB-resistant populations of ash species my be created by a combination of traditional selection-and-breeding and molecular methods such as CRISPR/CAS9. The loss of ash trees is a problem we created, and we need to fix it. 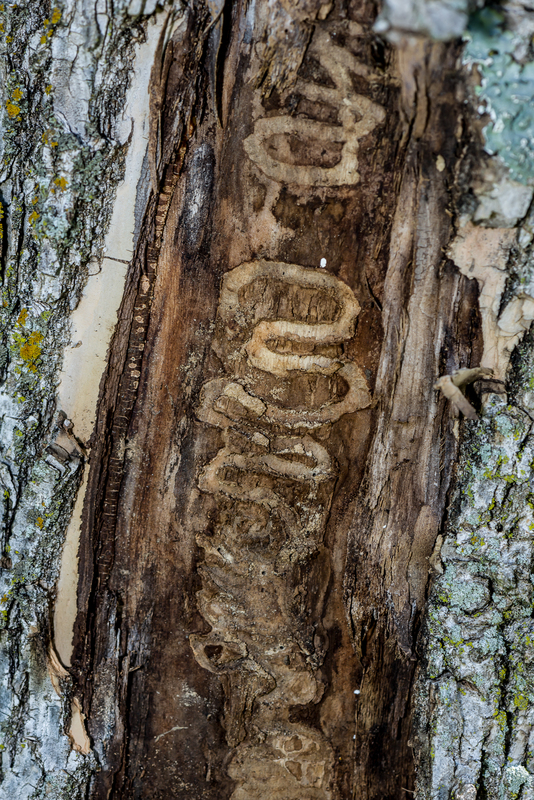 Posted in News and tagged ash, emerald ash borer, extinction.